Nick Tuffney is a UK national who was detained between May 2013 and September 2014 in Panama, and suffered cruel, inhuman and degrading treatment. Charges against him were dropped and he was deported back to the UK. Between May 2013 and September 2014, Nick, a United Kingdom and United States citizen, was detained in Panamanian detention facilities. The detention facilities were overcrowded, inappropriate and unsanitary, and Nick lacked access to adequate food, water, healthcare, and shelter. He was also subjected to abuse at the hands of those charged with his care. Insufficient support was provided to him by the British Embassy/Consulate in Panama during his detention. Nick was never tried or convicted of a crime and in September 2014, the charges against him were dropped and he was expelled from Panama indefinitely. He was forced to leave behind his young children who he has not seen since. 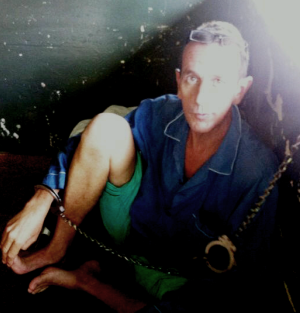 On 12 June 2015, the late John Jones QC and Graeme Hall (Doughty Street Chambers) submitted a complaint to the UN Special Rapporteur on Torture (UNSRT) about Nick’s treatment in Panama. On 26 October 2016, the UN Special Rapporteur on Torture concluded that Nick had been subjected to cruel, inhuman and degrading treatment and urged the Government of Panama to publicise the developments on this case, and reiterated his call to the Government to begin the investigation, prosecution, and possible conviction of those guilty of abuse and to provide reparations. With the help of REDRESS, Nick instructed Panama attorney Boris Barrios, of Barrios, Barrios Asociados to file a criminal complaint in Panama against those state officials responsible for Nick’s ill-treatment. This complaint was filed on 30 August 2016. On 12 April 2018 the case was dismissed. Meanwhile, with the help of REDRESS, Nick submitted a complaint on 15 November 2017 to the Parliamentary and Health Service Ombudsman (PHSO), asking them to investigate the insufficient support offered to him (as a British citizen) by the British Consulate/Embassy in Panama, during and following his detention. This complaint followed the receipt of several inadequate responses to earlier complaints made by him direct to the Consulate/Embassy in Panama, and later to the Foreign and Commonwealth Office (FCO) in London. The complaint to the PHSO has been accepted and a full investigation is underway. Nick attended a meeting with the Panamanian Ambassador in London (with REDRESS staff) on 2 February 2018, to try to advance his claims for reparation and to press the Panamanian authorities to respond to the UNSRT’s October 2016 findings. The Ambassador subsequently made an assurance in writing that a genuine commitment exists on the part of the Panamanian government to resolving the matter. No concrete proposals have yet been made. In the light of the dismissal (in April 2018) of the criminal complaint in Panama against those state officials responsible for Nick’s ill-treatment, on 9 October 2018 a Petition was filed at the Inter-American Commission on Human Rights claiming violations of the American Convention on Human Rights in relation to the cruel, inhuman and degrading treatment which he suffered, and the unfair expulsion from Panama after his acquittal in 2014. His Petition claims reparations from the Panamanian state. Complaint to UNSRT, 12 June 2015. UNSRT report, 26 October 2015. Criminal complaint, 30 August 2016 (in Spanish). Meeting with Panamanian Ambassador to London (Daniel Fabrega), 2 February 2018. Outcome as yet unclear. Complaint to PHSO, 15 November 2017 (with full details). Full investigation in progress. Petition to Inter-American Commission on Human Rights, 9 October 2018 (in Spanish).